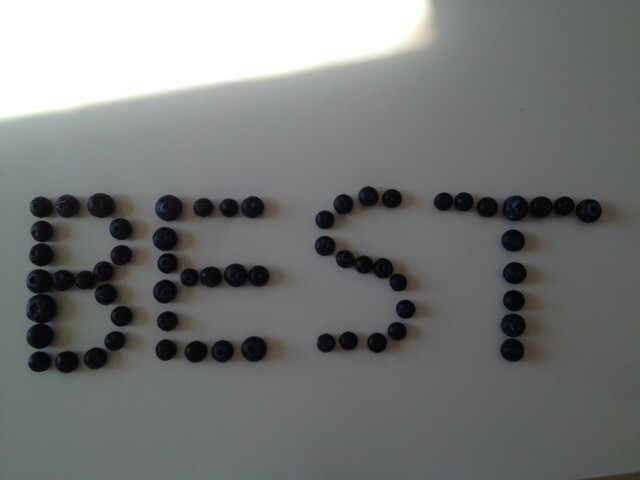 Today I will discuss the great positive sides that blueberries have regarding anti-aging. First of all, I think they taste great and it’s a great replacement snack. You like to cheat after dinner with some Ben and Jerry ice? No problem, just eat 1/3 of the amount of Ice Cream you normally would eat and hand in some frozen blueberries for instance. The good thing about blueberries is that we can freeze them, without doing damage to their anthocyanin antioxidants. As I mentioned before, blueberries are full of antioxidant. Antioxidants fight the free radicals which eventually lead to causing wrinkles. But it’s not only good for your skin; research has shown that it also can improve your memory. Other beneficial sides of blueberries are; reduce stress, quicker recovery on muscles after an injury (new evidence), reduce the risk of breast cancer (no hard evidence), blood sugar benefits, prevent the eyes from damage by sunlight. I have always liked blueberries. They certainly have a lot of great benefits. The antioxidants are definitely good for your skin. I didn’t know they reduced stress, that is an interesting little nugget. I enjoy eating blueberries but never knew it was loaded with antioxidants that have many good benefits. I will eat more in the future after reading this very informative article. Thank You!